Two of the leading names in door and window architecture – GEZE UK and Kawneer – have joined forces to launch a superior ventilating window. Kawneer’s high thermal performance AA®720 parallel opening window combines with GEZE’s award-winning Slimchain window drive to produce a window system which is suitable in any sector, be it residential, healthcare, education, commercial, retail or leisure. 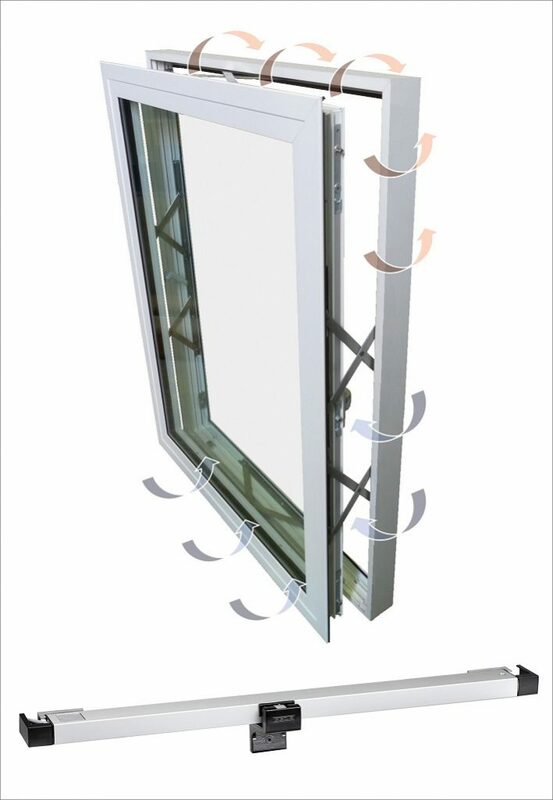 The combination of attributes provides ventilation around the entire window perimeter without detriment to safety and security while achieving U-values of 1.5 W/m²K for a CEN sized window with a warm edge spacer, offering exceptional levels of natural ventilation and air exchange, with a 86mm clear opening restriction as standard. The new and innovative CE Marked assisted-opening system has been fully tested to the PAS 24:2012 enhanced security performance standard as well as BS 6375 Part one (weather) and Part two (strength). Slimchain is part of GEZE’s range of window drives which share a uniform, discreet design and innovative Smart fix installation system. It is adaptable enough to fulfil completely diverse requirements relating to loads, upstroke lengths of up to 800mm, opening widths up to 1500mm wide and 2400mm high, and the widest range of types of installation. 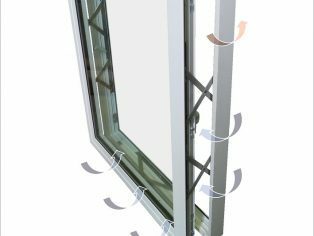 The new system for new-build and refurbishment projects offers more versatile design options than other solutions as Slimchain can be used on windows up to 400kg – a significant weight handling advantage over competitor products. Its intelligent electronics allow continuously adjustable drive strokes and individual speeds. The AA720 + Slimchain window is backed with full support from Kawneer’s and GEZE’s technical, estimating and design teams as well as the reassurance of extensive testing of a totally integrated assisted opening system.